Almost one year after the death of group member Adam “MCA” Yauch, the remaining Beastie Boys have announced two projects this week, one of which will honor the late rapper’s memory in his hometown. 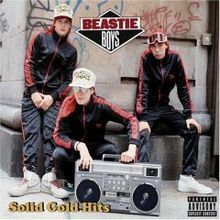 According to the New York Times on Monday, the still living members of the Beasties – Adam “Ad-Rock” Horovitz and Michael “Mike D” Diamond – have signed a book deal with Random House Publishing to create a memoir that will tell the history of the iconic trio as well as gives readers insight into the group’s style and aesthetic. Additionally, in a Friday morning ceremony attended by Horovitz as well as Adam Yauch’s mother Frances, the Palmetto Playground on Columbia Street in Brooklyn Heights was officially commemorated as Adam Yauch Park. Those interested in making a donation to the park in support of the artist’s memory can do so here. Organizer Mike Kearney says that some celebrity guests are expected to stop by Littlefield, but just who’s coming is being kept under wraps in order to maintain the surprise for fans who attend. For more information on the above projects and more please visit http://www.beastieboys.com/.